BIOSWEEP® Surface Defense Treatment provides 24/7 protection against the growth of a wide range of microbial contaminants. BIOSWEEP SURFACE DEFENSE Treatment offers unparalleled broad spectrum antimicrobial protection for all surfaces against mold, mildew, viruses, bacteria and algae. Continuously working 24/7, BIOSWEEP SURFACE DEFENSE Treatment reduces the growth of many harmful pathogens which can lead to sickness, stains, odors or deterioration of fabrics and textiles. BIOSWEEP SURFACE DEFENSE Treatment can be warrantied up to one year when properly applied by your local BIOSWEEP service provider. BIOSWEEP SURFACE DEFENSE Treatment provides a safe and effective defense against germs, bacteria and viruses. BIOSWEEP SURFACE DEFENSE Treatment is colorless, odorless, non-toxic and safe for use on ALL surfaces. BIOSWEEP SURFACE DEFENSE Treatment will not wash off or wear away for up to twelve (12) months and can easily be reapplied to specific areas if needed. Q: How does BIOSWEEP SURFACE DEFENSE Treatment actually work? A: Our BIOSWEEP SURFACE DEFENSE Treatment services utilizes an antimicrobial solution that binds at the molecular level with any treated substrate rendering the entire surface antimicrobial. It creates a physical barrier of carbon chains that are pointed up like swords, penetrating any microbe which lands on the treated surface. Thus, it will prohibit any bacteria, viruses or mold from growing on the treated surface. Q: Do surfaces need to be cleaned prior to BIOSWEEP SURFACE DEFENSE treatment? A: For our BIOSWEEP SURFACE DEFENSE Treatment to work effectively, all surfaces should be relatively clean through normal, routine cleaning practices. There should be no visible dust or debris on the surface prior to treatment. If so, we recommend using a damp microfiber cloth to wipe down surfaces that may appear dirty with dust or lint. In addition, BIOSWEEP BASE TREATMENT should be considered prior to a BIOSWEEP SURFACE DEFENSE Treatment in order to eradicate any airborne germs or bacteria that may land on any surface areas. Q: How long does the BIOSWEEP SURFACE DEFENSE Treatment application take? A: The antimicrobial is rapidly applied using a specialized industrial sprayer – so the process is quite fast. Once applied, the antimicrobial coating air dries within an hour and the treated areas can be then reoccupied. Q: Can a surface treated by BIOSWEEP SURFACE DEFENSE Treatment be cleaned afterward? Q: Will the BIOSWEEP SURFACE DEFENSE Treatment antimicrobial wash off or deteriorate? A: No, the BIOSWEEP SURFACE DEFENSE Treatment antimicrobial will not wash off the treated surface. It can withstand temperatures up to 257º F and resist all organic solvents, strong acids and bases. It will begin to lose its maximum potency within 12 months, however, and should be re-applied during months 10 – 12 to assure ongoing protection. Q: What if I can’t afford to treat the entire building with BIOSWEEP SURFACE DEFENSE Treatment at this time? A: No problem. While BIOSWEEP Service Providers are experts at deodorizing and decontaminating large areas that employees and customers typically come in contact with, they will apply it to the highest priority areas of your choosing, such as restrooms, waiting rooms, exam rooms, cafeterias, etc. 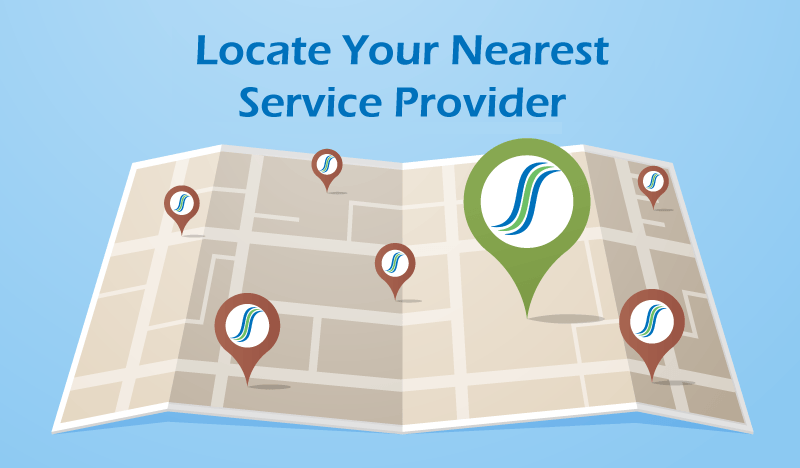 Your local BIOSWEEP Service Provider can provide recommendations on areas commonly treated. Q: Is the BIOSWEEP SURFACE DEFENSE treatment effective against MRSA? A: The BIOSWEEP SURFACE DEFENSE antimicrobial solution has been clinically shown to eradicate MRSA and make the applied surface resistant to it 24/7 for up to 365 days. Q: Is BIOSWEEP SURFACE DEFENSE Treatment registered? A: Yes, the antimicrobial product used in BIOSWEEP SURFACE DEFENSE treatment is EPA registered and meets all Dept. of Defense (DoD) and US Dept. of Agriculture (USDA) standards. It is even approved for use in food preparation areas. Q: How do BIOSWEEP Service Providers monitor the level of cleanliness post treatment for microscopic biological? A: BIOSWEEP Service Providers use testing equipment known as ATP technology to real-time test for living biological matter on site in predetermined or random locations to ensure that your treated spaces are clean according to acceptable industry standards and levels.